The question of what differentiates you from the pack during the MBA application process is a daunting one. How will your stellar GPA, along with a miles-long list of extracurriculars, volunteer work, and other experiences stand out? Furthermore, what if you just haven’t had the time to earn years of professional experience? Never fear, because many MBAs pursue their degrees without an extensive professional resume. Here is a look at some programs in Canada that do not require work experience. Among the admission requirements at University of Alberta School of Business in Edmonton, Alberta are a proven aptitude for time management and skillful written communication. Work experience is strongly encouraged but not required, and the school offers a preliminary assessment questionnaire to gauge the applicant’s fit for the program. ASB requires GMAT scores, as well as English proficiency and two letters of reference. Applicants must also have at least a 3.0 GPA. Also part of the application is a statement of intent, which presents applicants without work experience another chance to prove their writing skills. Located in Halifax, Nova Scotia, the Sobey School of Business at St. Mary’s University also accepts students without work experience. While it is encouraged, the lack of previous work can be overlooked if a potential MBA meets other criteria. The admissions committee emphasizes demonstrated leadership skills among the factors for admission, and this is something to keep in mind across the board while applying without work experience. An undergraduate GPA of at least a 3.0 is required, as well as a minimum GMAT score of 550. Brock University’s Goodman School of Business in St. Catharine’s, Ontario, states that work experience is encouraged, but not required. This school also offers a pre-admission assessment to determine how well the program fits a student’s needs. Goodman touts its record of helping students to establish future professional connections through its co-op program and various immersive learning options. Applicants must possess a strong academic record (3.0 GPA) as well as a GMAT minimum of 550. As noted on the school’s website, Goodman’s “MBA graduates range from recent undergraduates who wish to get a head start on their education to managers with several years of experience.” Those without extensive work experience are in good company. Smith College of Business at Queen’s University in Kingston, Ontario notes on its website that while work experience is encouraged, ‘exceptional applicants’ with less than the recommended two years will be considered based upon their other qualifications. Successful applicants generally have a 3.5 minimum GPA along with a minimum GMAT of 600. References are required, and may be sourced from not only professors but also from mentors. Smith also offers recent undergrads the Queen’s Graduate Diploma in Business; a summer program for students without a lengthy professional resume that grants credits that may be applied to the MBA. This program focuses on business fundamentals, placing students at a more even level with experienced peers. 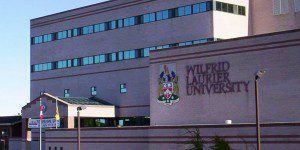 Finally, Wilfrid Laurier University’s Lazaridis School of Business and Economics in Waterloo, Ontario offers the Waterloo full-time MBA with Co-op, offered to students with two or less years of work experience. The program places students into a work environment, preparing them for future careers. Three academic references are required for admission, as is a minimum GMAT of 600 and a 3.5 GPA during undergraduate studies. It is helpful to note several things when considering a no-work experience MBA application. First, while many programs don’t require professional qualifications, some are designated specifically for early career/recent undergrad applicants (see Laurier’s co-op MBA above). Just because a program doesn’t require you to have worked extensively doesn’t mean it is the best one for you. Also of note is the advantage of not having to interrupt an already established career to pursue the degree. While you may have to work harder to emphasize your prior leadership skills and academic record, you will start fresh using your recently earned skills as you begin your career. Though the application process may be a bit more rigorous without a long prior career, an MBA with minimal or no work experience can be a wonderful foundation upon which to build.